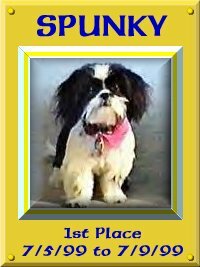 Now Playing, "Hills Street Blues"
This is Spunky, my best friend and First Place Winner in the Perky Pet of the Week Contest. Hello and thanks for stopping by.. 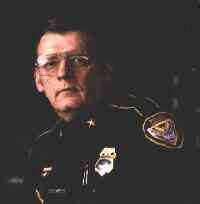 I really appreciate your taking the time to stop in and visit with an old retired cop with more time on his hands than sense. I need to tell you that my main page is somewhat graphic intensive, but they are important as many lead to some very good pages and information, and are fairly good; so they are well worth waiting the very short time it takes to load. 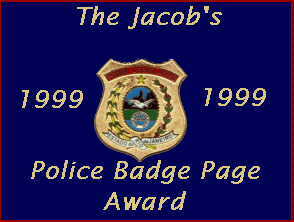 So grab a cop of java and a stale donut and climb in the cop car (click) for a free ride to the old cop's home page. I promise you won't go to jail. While there PLEASE sign one of my NEW guestbooks. I lost my old book with all the fine folks that signed it. 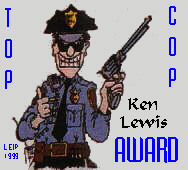 Also, why not try for my NEW REDESIGNED Ken's Kool Kop award. Its easy. Over 100 home pages have already tried and won! GOD BLESS and have a great day. 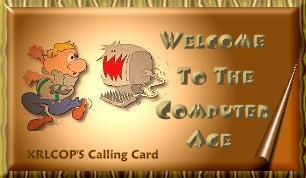 Want to join the Grandparents Web Ring?